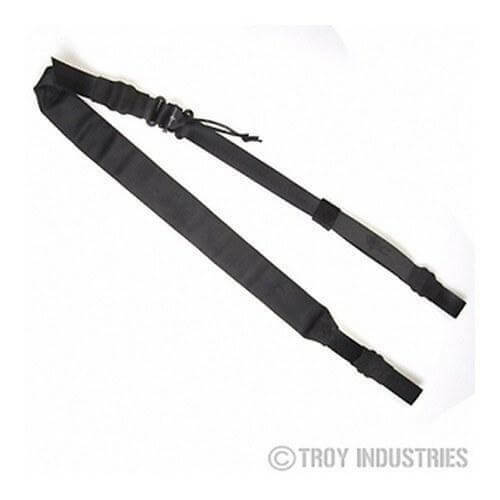 Troy/VTAC Wide Padded Rifle Sling – added comfort for heavier firearms. Same great features as original sling but with Troy upgrades which include all metal loops instead of plastic, enhanced rubber coated pull strap and military grade nylon wraps to cover loops. Customers with heavier firearms who wanted a wider, more comfortable sling with the same great features of the original Viking Tactics, Inc. rifle sling. The Viking Tactics Wide Rifle Sling is made with a shoulder strap with closed cell foam for increased comfort. The forward adjustable portion of the sling remains the same as the original sling, giving you quick, easy adjustments from any position.